Listen to the latest sitdown interview from Sunday TODAY here. Each week, Sunday TODAY's Willie Geist sits down with some of the biggest names in news and pop culture — from actors and musicians to presidents and CEOs — to talk about the stories behind their success. And while you're probably used to watching these conversations on-air or online, you can also listen to the entire conversations behind these interviews every week on the “Sunday Sitdown” podcast. And it’s completely free! 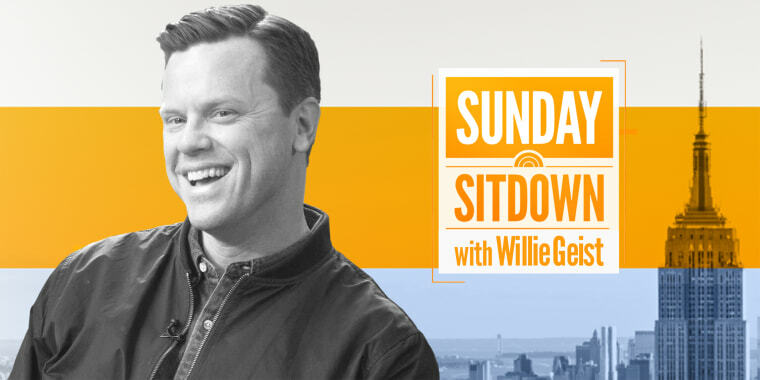 The podcast “Sunday Sitdown with Willie Geist” features the same interviews shown on Sunday TODAY every week, but instead of the eight minutes you see on television, these are the full, uncut, unfiltered conversations. You can listen on Apple Podcasts, Spotify or wherever you get your podcasts. Don’t forget to click subscribe so you never miss an episode. Be sure to check out this week’s Sunday Sitdown!